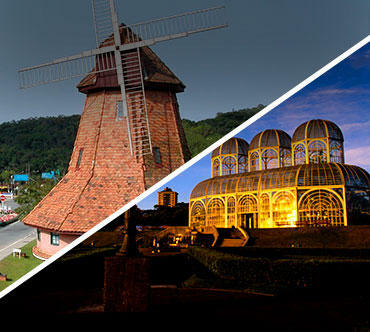 Get to know Joinville Bus Station and book your tickets online! Covered Areas Joinville Bus Station works with over 23 bus companies between intercity and interstate routes. 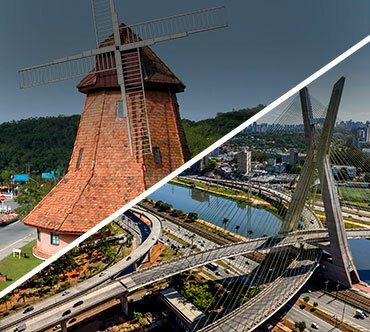 Among the cities covered by the Bus companies operating in terminal, the main ones are Curitiba, Florianópolis and Balneario Camboriu, but towns in other states such as São Paulo and Rio de Janeiro are also met, and you can buy you bus ticket for any of them at Brasil by Bus. 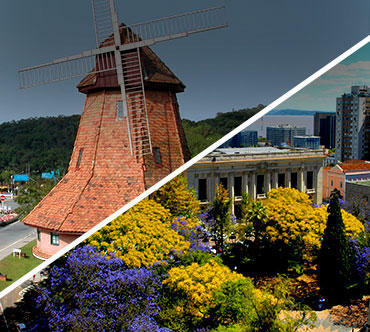 The main routes departing from Joinville Bus Station are: Joinville x Porto Alegre, Joinville x Curitiba, São Paulo x Joinville and Joinville x Balneario Camboriu. About Joinville Bus Station Inaugurated in 1971 by Harald Karmann, the major city at the time, Joinville Bus Station had its first building temporarily, granted by the city as a measure to decongest the traffic of that área. However, in March 9, 1974 , the Bus Harold Nielson was transferred to the building where it currently operates. To better serve the passengers the bus station has two waiting rooms with capacity for 210 people. Besides, passengers can count on a system of cable TV, which serves all parts of the terminal for entertainment. The Bus companies that serves Joinville Bus Station are 1001, Brasil Sul, Catarinense and Pluma. How to get there For those who prefer to arrive by car, the access is made by Paraíba Street. For the ones who prefer to arrive by public transport, can check the list of routes in the city hall site. Main Bus lines to Joinville Balneário Camboriú x Joinville, Blumenau x Joinville, Curitiba x Joinville and São Paulo x Joinville. The visitor’s information is located at the main lobby of Joinville’s Bus Station. The user can count on the baggage storage at an affordable price. Located close to the administration terminal, the lost and found works 24 hours. For passenger and users with special needs, the terminal has access ramps, lifts, wheelchairs and special toilets. Female and male toilets are available adapted for the elderly and disabled. Open 24 hours, is covered and the prices are accessible. At the terminal, users can use restaurants and eateries at affordable prices and with varied options. 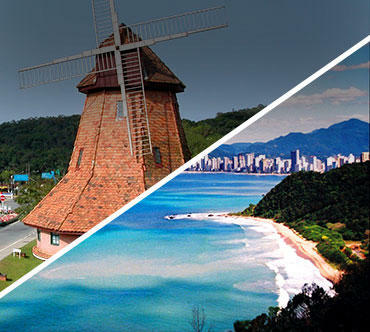 Joinville is considered the third largest city of Santa Catarina and one of the best places to live in Brazil. The city, in addition to the excellent quality of life it offers, is one of the best for tourism in the south.